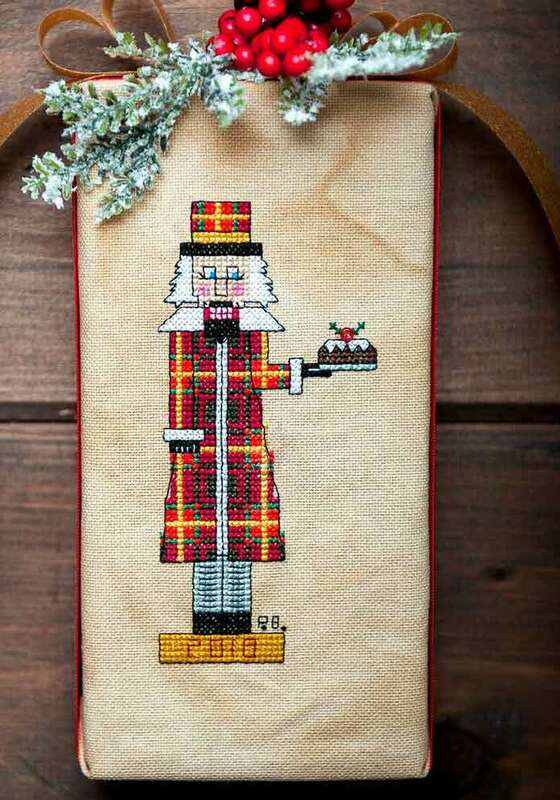 Nutcrackers are a quintessential symbol of Christmas, and why not stitch one resplendent in this interpretation of Canada’s Maple Leaf tartan? The Maple Leaf Tartan was designed by David Weiser in 1964 and approved as an official symbol of Canada on March 9, 2011 by the Honourable James Moore, Minister of Canadian Heritage and Official Languages. Finished utilizing pins on a 1 15/16” x 3⅞” x 7⅞ (49mm x 98mm x 200mm) Styrofoam block, this piece could easily be finished as an ornament or focal piece in a quilted wall hanging.